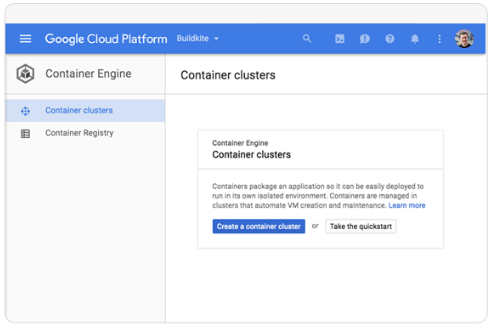 Editor’s Note: Today we hear from our partner Codefresh, which just launched a deep integration with Google Container Engine to make it easier to deploy containers to Kubernetes. 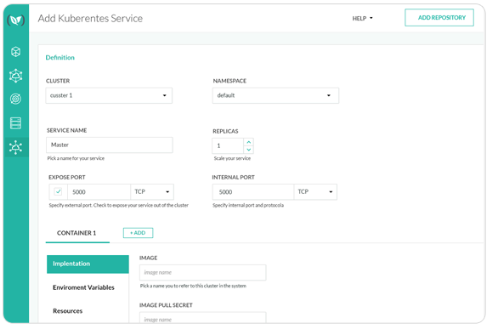 Read on for more details about the integration and how to automate deployments to Container Engine in just a few minutes. Codefresh is an opinionated toolchain for delivering containers. Our customers use it to handle both the automated and manual tasks associated with building, testing, debugging and deploying containers. Container-based applications running on Kubernetes are more scalable and reliable, and we want to streamline the process for getting containers deployed. That’s why we’re proud to announce Codefresh’s 10-minute setup for deploying to Kubernetes. We’ve tested this integration with new and advanced users. Novice Kubernetes users tell us that Codefresh makes it incredibly easy to get their applications deployed to Kubernetes. Advanced users tell us that they like how they can easily access the full features of Kubernetes and configure them for their applications. 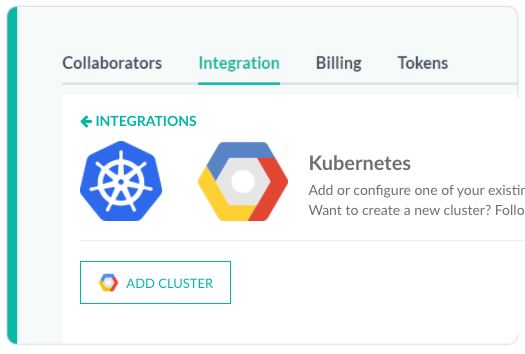 In just a few steps, you can get up and running with Codefresh and start deploying containers to Kubernetes. Here’s a short video that shows how it’s done. Set ports, replicas, expose services or just let the defaults be your guide. Codefresh’s configuration screens also generate deployment.yml and pod.yml files, which you can then edit directly. Advanced users can use their own yml files and let Codefresh handle the authentication, deployment, etc. 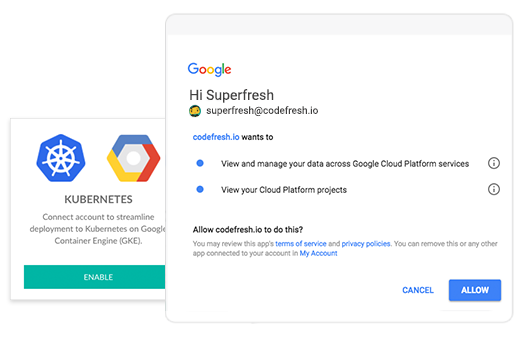 Once you’ve configured Codefresh and GCP, you can automate deployment with testing, approval workflows and certification. 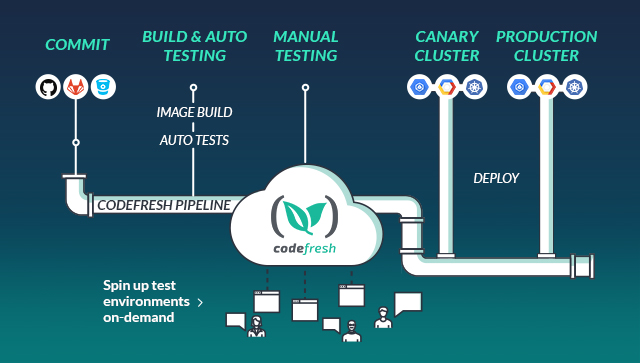 With Codefresh, developers and DevOps teams can agree upfront on rules and criteria for when images should go to manual testing, onto canary clusters or deployment in production. Further, this mix of infrastructure and automation allows teams to iterate faster and ultimately provide higher-quality code changes. Want to get started deploying to Kubernetes? Codefresh is offering 200 builds per month for free and $500 in GCP credits for new accounts1. Try it out.